Starting Wednesday (5/1), Fry’s will have Dial Soap on sale for $0.88. $0.50/1 Ivory or Safeguard Personal Cleansing Product, exp. 5/31/13 (PG 04/28/13) 2 coupons in insert. Remember, if you printed the Pampers coupons in April, they will reset on the 1st of May. 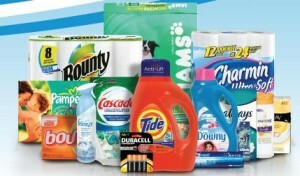 This week Kroger/Fry’s is having a Buy 4, Save $4 sale on P and G items (list of participating items to come). Along with the sale, there is a new Instant Win Game. 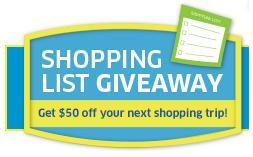 You have the chance to win $50 toward your next shopping trip. All you have to do is build your shopping list with some of your favorite participating products. You can play each day through May 11th for an additional chance to win! Earn double points when you enter a code from specially marked boxes of Corn Pops® cereal. Real Cheese Matters™: Get 25 bonus points each time you enter a code from new Cheez-It® Provolone crackers. Ends 4/30/2013. Mmm … extra points. Earn 25 bonus points each time you enter a code from new Pop-Tarts® Oatmeal Delights toaster pastries. Ends 4/30/2013. Cinnamon is a sweet way to get extra points. Earn 25 bonus points each time you enter a code from new Kellogg’s® Cinnamon Jacks™ cereal. 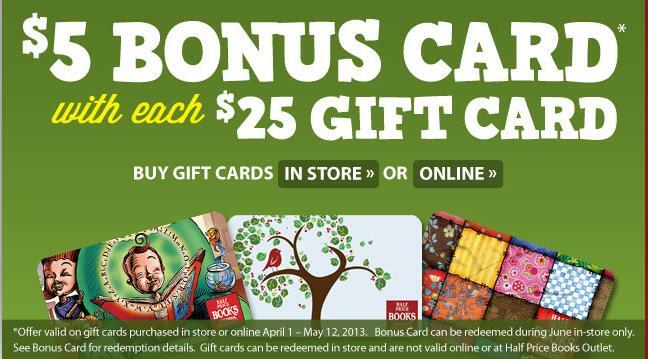 Ends 4/30/2013. Earn 25 bonus points when you enter codes from Kellogg’s® Nutri-Grain™ Fruit Crunch granola bars. Offer ends 4/30/2013. Earn 25 bonus points when you enter codes from Kellogg’s® Frosted Mini-Wheats® Crunch cereal. Offer ends 4/30/2013. Earn 50 bonus points when you enter codes from Eggo® products with “The Great Waffle Off!” logo. Offer ends 5/13/13. Earn 25 bonus points when you enter codes from Scooby-Doo!™ cereal by 6/28/13. Rise and shine with tastiness and extra points! Earn 25 bonus points when you enter codes from NEW Special K™ Red Berries Waffles. 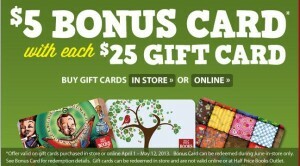 Ends 5/20/2013. This Saturday, April 27 is National Prescription Drug Take Back Day. From 10:00 a.m. to 2:00 p.m. you can drop of any expired, unused and unwanted prescription medications to be disposed of safely. If you don’t live in Mesa, you can SEARCH FOR A DROP-OFF SITE. Since it is Wednesday, we have a new round of Safeway Just4U coupons. Be sure to check your account, you may have a few free items. 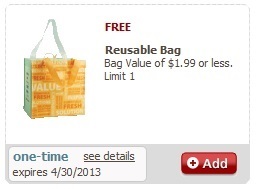 In the Coupon Center I found a FREE Reusable Bag (valued at $1.99 or less – Limit 1). This is most likely available to everyone, so search carefully. You may or may not have the same personalized deals, these vary by individual. 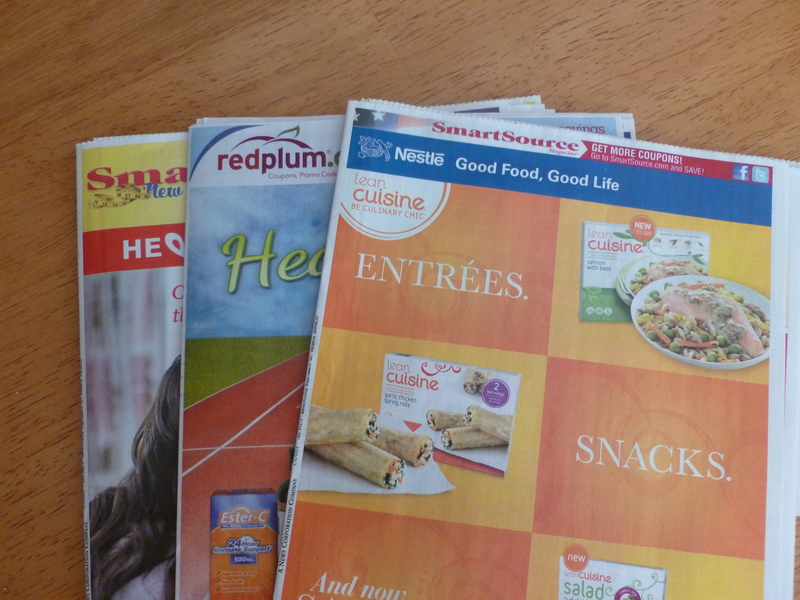 This week we should get 3 inserts in our Sunday newspapers: 1 SmartSource, 1 RedPlum and 1 P and G. Keep in mind, coupon values vary by region.